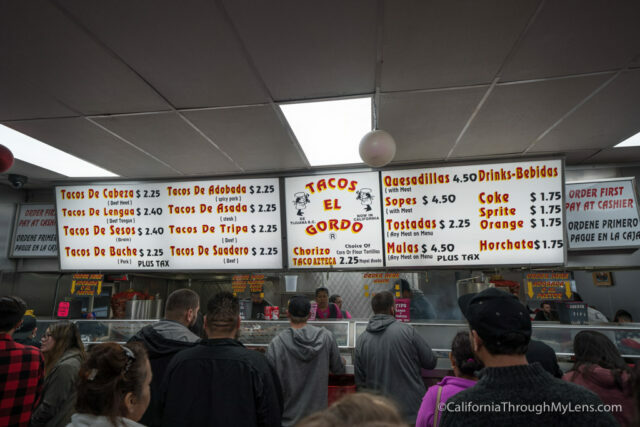 If you are a fan of Mexican food and anywhere near San Diego, then you have no doubt heard of and probably visited multiple times Tacos el Gordo. 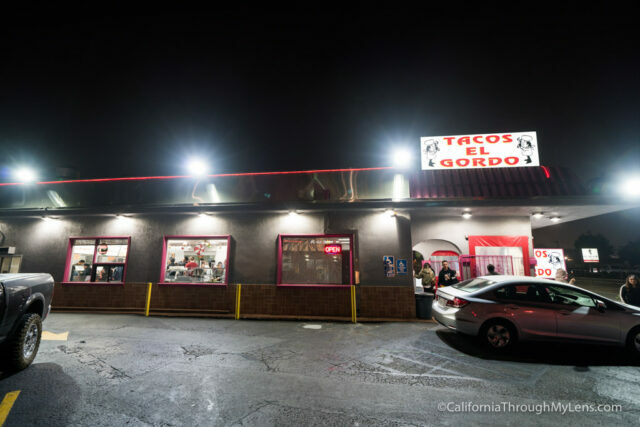 This Tijuana transplant makes some of the best tacos I have ever had, and even though the line is practically always massive, I have never been disappointed with a wait for their food. Here is all the information. Heading south from San Diego on Highway 5, get off on H Street and turn left. 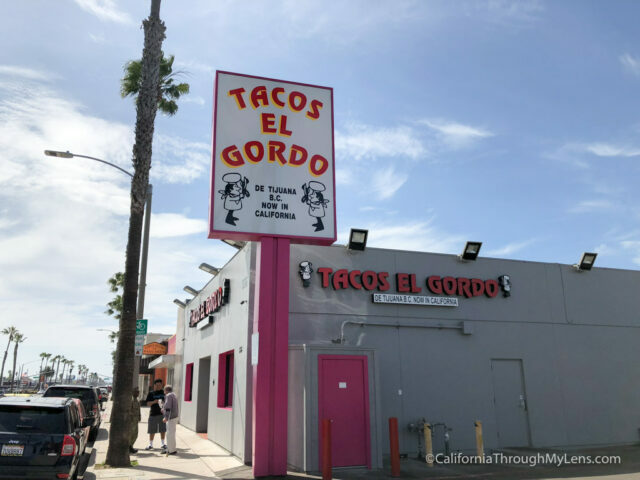 Tacos El Gordo is on the left about a quarter mile from the freeway. There is also a second location if you continue past this one and then turn right on Broadway. Both have limited street parking near the restaurants. From the outside, this looks like any other traditional Mexican restaurant. However, once you go inside and see the lines, you will realize it is not. The way it works here is that you wait in the line that corresponds to the taco you want to get. The shorter lines are always for carne asada and chorizo while the long lines are for al pastor. Let’s not beat around the bush here; al pastor is where it’s at. I have had all of them, and none compare to al pastor. That being said, here is what I thought of each taco. 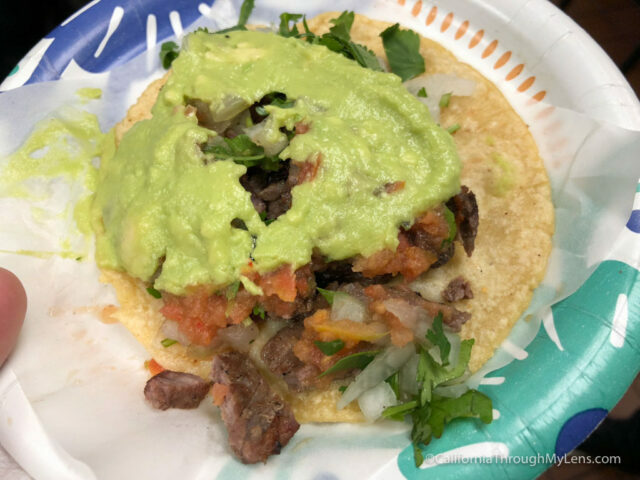 Carne Asada – Nice smokey flavor from the charcoal grill they use. Covered in subtle guacamole that adds to flavor without being overpowering. The raw onions give it a nice crunch and complete the taco. 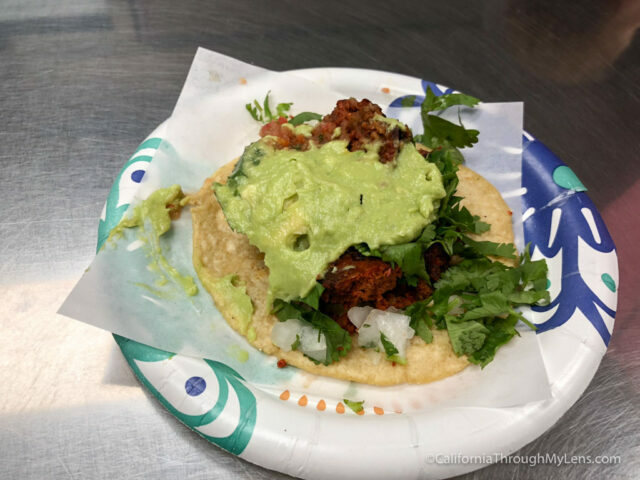 Chorizo – Same toppings as the carne asada, but with a nice citrus flavor from the meat. I like the carne asada better, but it is still a good taco. 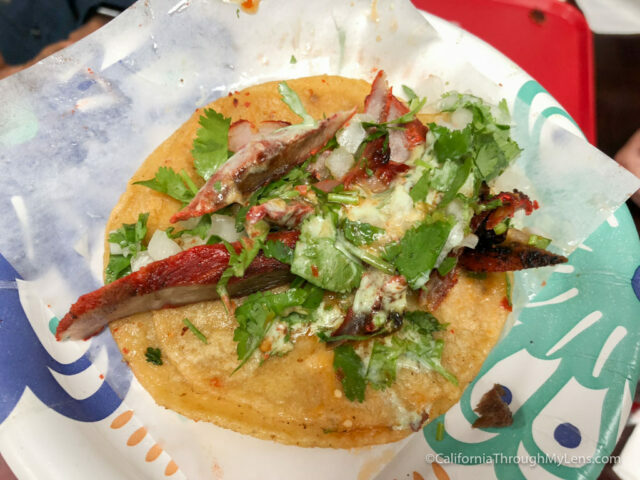 Al pastor – The pinnacle of tacos here, it’s pretty much a perfect taco. Flavorful meat with a sweet sauce, cilantro, and raw onions. The line is long, but it’s worth it. I usually get at least three. It’s hard to stress how good this place is without just telling you that you have to try it. The flavors are second to none in the San Diego taco game, and the price is on point. Check it out next time you are in the area; I doubt you will be disappointed.